A survey showed that 40% of people with dementia in the UK have felt lonely. There is strong evidence that life satisfaction in general for older people is positively correlated with levels of activity. Social activity and social support are thought to be directly related to better physical and cognitive function. Being involved in our community and doing what we enjoy has a real impact on our well being. However people with dementia may feel cut off from others and from their previous lives, and this can be especially difficult for people living alone. 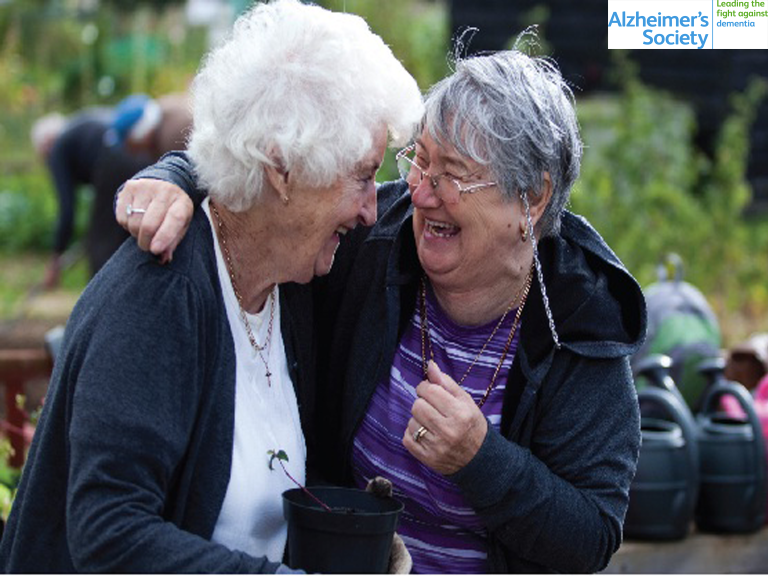 That's why Alzheimer's Society are piloting their new service Side by Side to give people with dementia the opportunity to continue to take part in fun activities. This may include a walk in the park, a visit to a cafe or a football match or even just a chat over the phone. These activities may seem small but it can make a huge difference to someone's life. "Volunteers are crucial to the success of this service and can be any age. Volunteering could range from providing support once a week to once a fortnight at a time that works for the volunteer and person with dementia." Says Katherine, the Deputy Manager of the charity's Side by Side. If you are interested in becoming a volunteer and helping people with dementia continue to do the things that they love, then contact Katherine Pratt now on 01458 251541. Or alternatively email katherine.pratt@alzheimers.org.uk or visit their website here.